Searching for DJ Hire West End? For you, your friends or your family, this is their special day. Let us make it. 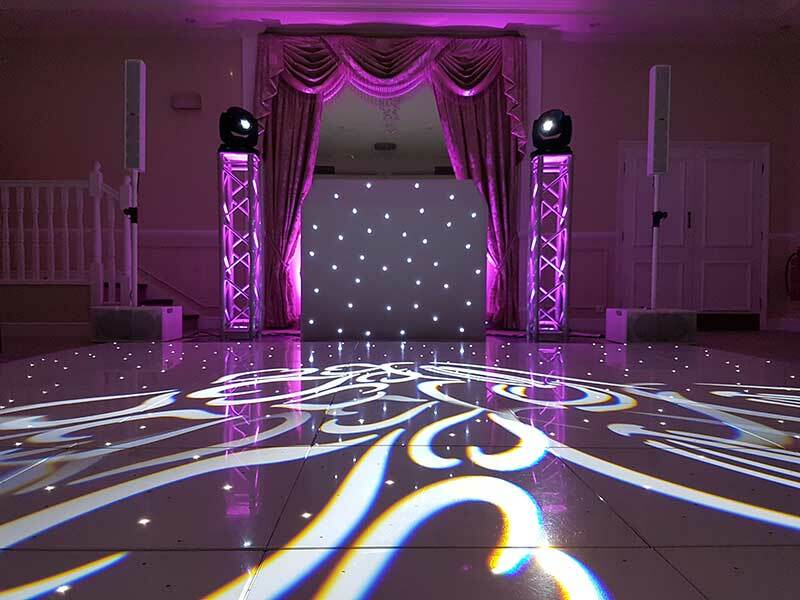 We ordered a DJ package from DJ2K along with some extra bits such as the white starlit dance floor and Love sign that really made our reception room ‘pop’. For anyone considering just DIY’ing their entertainment I’d like to implore you to reconsider as our evening reception would not have been the same without Danny. Our DJ package was really good value for money and Danny worked with us really well to create a package that was bespoke to us. At DJ2K we are not content with just spinning tracks! It’s our mission to provide the very best event services in the world and we want our clients in the West End to witness this first hand. We offer professional DJ hire, wedding DJs and mobile disco hire in London’s West End and surrounding areas. We have a proven track record and unrivalled reputation which insures that investing in our services will make your wedding reception, corporate event or party a great success, uniquely stylish and most importantly fun! We are not your average DJs… From the very first conversation we have until the final moments right at the end of your event you will love everything we do. From our Director, DJs, to our sales and admin staff we vow to give all our focus, passion and energy to achieve something out of this world for you. Our company is refreshingly different from the clichéd and old fashioned Mobile Disco services you may have witnessed in the past. We offer top rated modern and industry acclaimed DJs at the peak of their careers. A truly 21st century events company offering a personalised service that has spanned two decades. We are passionate and 100% dedicated to exceeding your every expectation. In fact our team are multi award-winning professionals providing a bespoke DJ hire service and entertainment experience, all tailored to your exact requirements. As well as being in demand to play at high profile events and wedding parties, DJ2K are the DJs of choice for many prestigious wedding venues in the area. In fact we have played at just about every major venue in London and the South East including The Houses of Parliament, The Dorchester, The Berkeley, Claridges, Mandarin Oriental, Grosvenor House, Cafe Royal, The Shard. If you’re looking for youthful yet experienced and talented DJs in the West End, who can beat match, read a diverse audience and don’t talk unnecessarily on the microphone – you’ve found the perfect company for your event.